Pop has quite the reputation as a singer, picker, fiddler, lasso twirler, poet and downright funny guy. He appeared quite frequently on Public Radio's A Prairie Home Companion during the show's formative years and for the last four decades he has worked his cowboy magic throughout 44 states and ten countries. 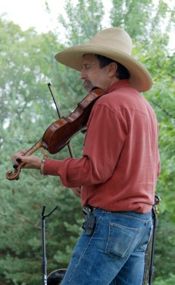 His cowboy anthems crackle with the warmth of a prairie campfire and his old time fiddle tunes set toes a-tappin' while he serves up spellbinding rope tricks and tall stories -- all with a good dose of friendly humor. 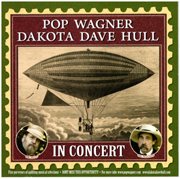 or Book, Pop Wagner and the Twin City Playboys - One Honkytonkin Band! 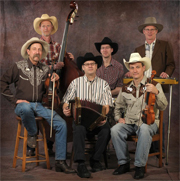 Pop Wagner and the Twin City Playboys provide a mix of Cajun, Western Swing, Zydeco, Blues and Country music from the days when still sounded like country music! It sure enough gets folks out on the dance floor.